WASHINGTON (Reuters) - More than 80 percent of Lockheed Martin Co-made F-35 fighter jets in the United States and around the world have cleared engine inspections and are now approved for flights, the Pentagon said on Monday. Last week, all U.S. and international F-35 fighter jets made by Lockheed Martin were grounded so that fuel tubes could be examined. 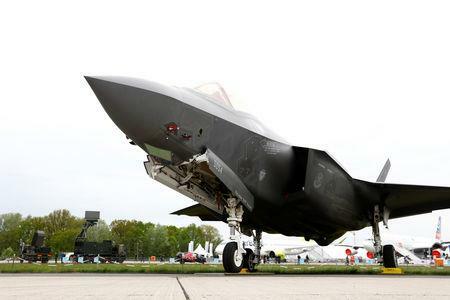 The Pentagon said it is working closely with United Technologies Corp's Pratt & Whitney, the maker of the F-35's engine, to rapidly procure more parts to minimize the time it will take for remaining repairs. The issue is not expected to impact F-35 deliveries and the program remains on track to meet its target of 91 aircraft for the year, the Pentagon said.